The Melanoma Action Coalition (MAC) was established in 2014 by leaders of seven community-based foundations focused on increasing awareness about melanoma, providing education about sun safety, and raising money for melanoma research. Originally based in the mid-Atlantic region of the United States, MAC has since grown to include organizations and individuals nationwide. MAC’s mission is to welcome similar non-profit organizations to work together in a national network to raise funds for education, awareness, prevention and research. The Sonnenalp of Vail Foundation was founded in 1998 by Rosana and Johannes Faessler to enhance the quality of life for the residents of the Eagle Valley Community with particular focus on medical and educational needs of children and families. The annual Scramble Against Cancer is in it’s sixteenth year, donating a net of over $1.8M to the Sonnenalp Breast Center at the Shaw Cancer Center in Edwards, CO.
EdgeMakers, Inc. seeks to support and empower a worldwide groundswell of EdgeMakers – teenagers who want to put a dent in the world by becoming world class innovators. By focusing their creativity, optimism and determination, these EdgeMakers will be able to realize their vision, whether they want to start a business, express their creativity or change the world. 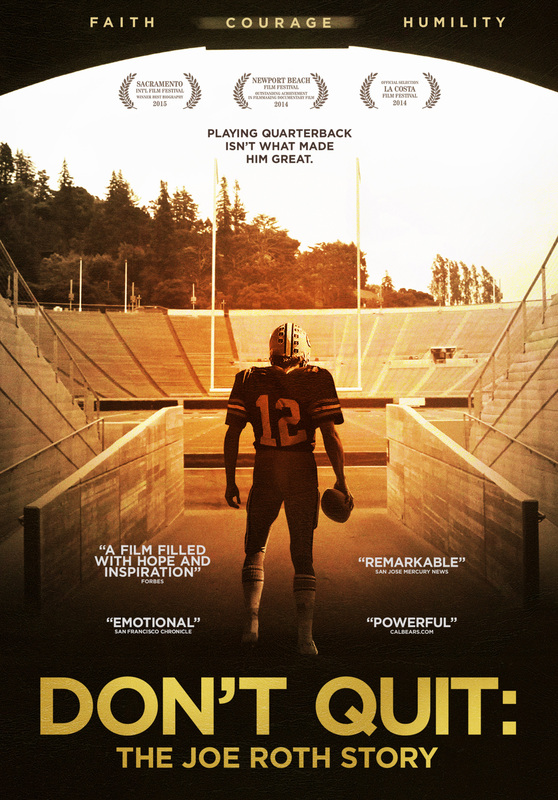 Don’t Quit: the Joe Roth story is the newly released documentary from filmmakers Bob Rider and Phil Schaaf, chronicling the life and legacy of an all-american University of California quarterback whose life was tragically cut short by melanoma, a disease that still plagues far too many people.